to getting an advanced delivery date from our vendor. 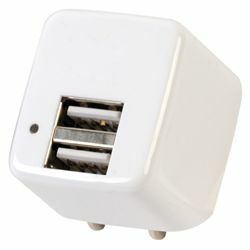 This AC-to-USB power adapter is ideal for charging a high-demand device like a tablet that needs 2.4 amps. It will also simultaneously charge two phones that require 1 amp each.